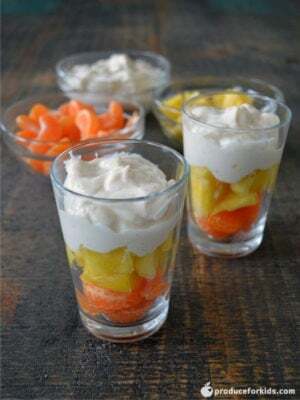 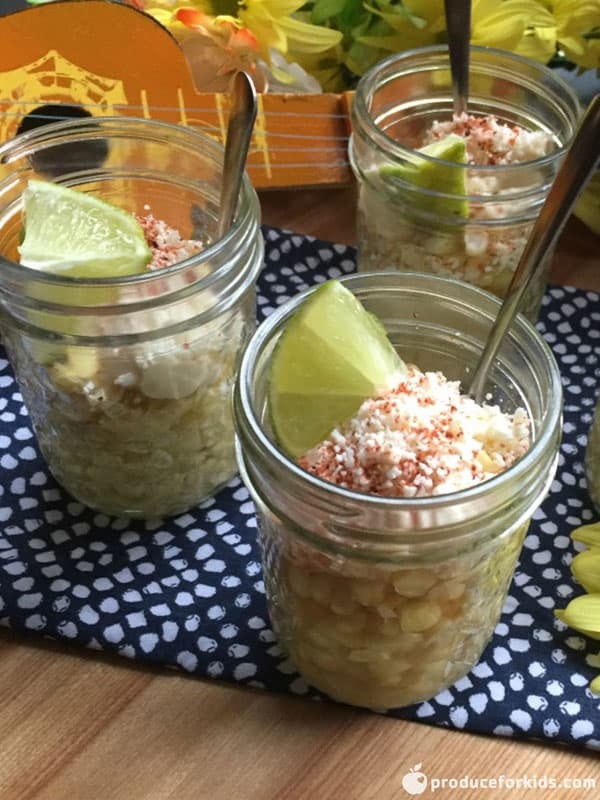 Kids will love these fun candy corn parfaits! 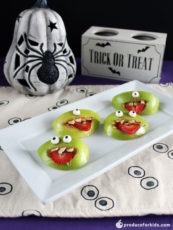 These healthy Halloween treats are perfect for parties and are a great way to get kids in on the action. 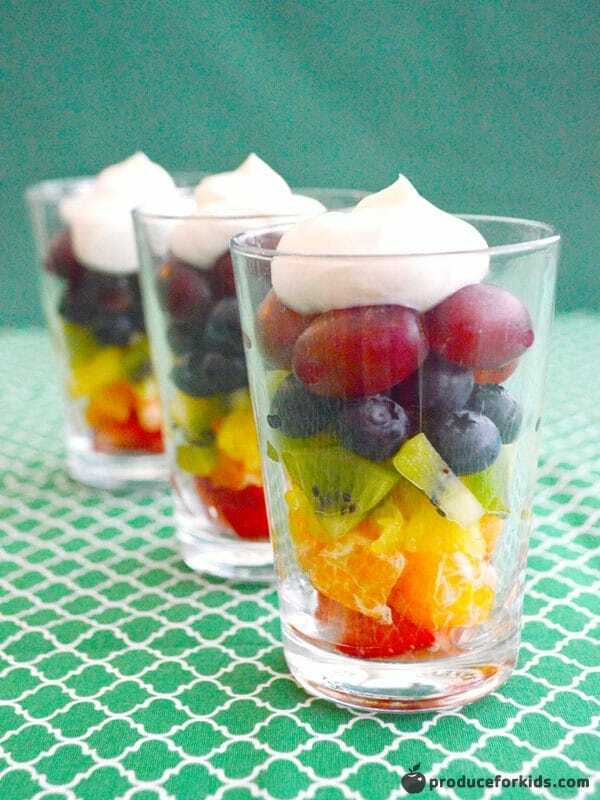 Layer mandarins, pineapple and yogurt in a parfait glass.